If space within your travel bag is a little restrictive or you would like to cut down a little on the number of cables and adapters protruding from your plug socket. The new iSurge Charging Station created by Energizer might be worth a look. 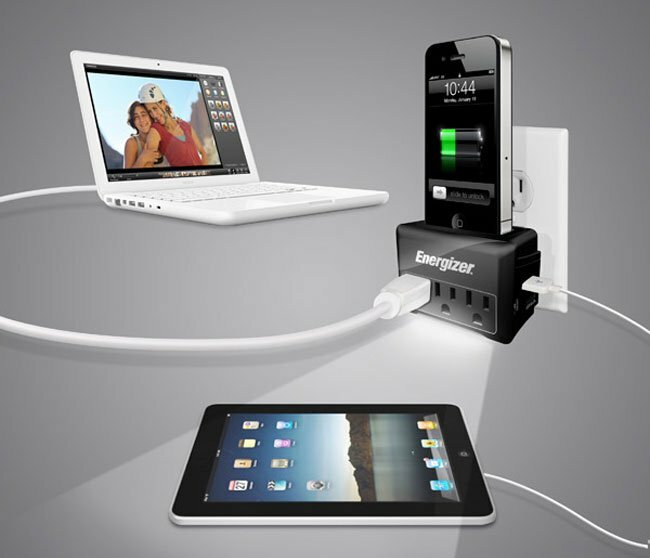 The Energizer iSurge has been designed to provide an all-in-one AC adapter equipped with a top-mounted 30-pin dock for the iPod and iPhone, 2 x USB ports with 2.1 Amp output for fast charging of the iPad, 3 x standard, surge-protected AC outlets. Not only does it have all those charging points but it also has a 180 degree rotating plug and doubles as a night light. The iSurge will be arriving in stores during October and will be priced at around $60.